Video goes National! Early diagnosis of poor eyesight key! 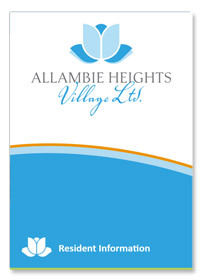 - Allambie Heights Village Ltd.
Video goes National! Early diagnosis of poor eyesight key! Below is a training video created by the Macular Disease Foundation Australia, shot here at Allambie Heights Village, for managing eye health and vision loss in residential aged care facilities. The Macular Disease Foundation Australia (MDFA) engaged in research to measure the eye sight condition of 19 of our residential aged care facility (RACF) residents in 2016. We were part of their research among 7 RACFs across Australia. They produced a Report of their findings in March 2018 which were quite alarming in relation to the poor level of knowledge by staff, families and health practitioners regarding failing eye sight among older people, poor levels of diagnosis, treatment and the findings referred to the consequences for older people of failing eye sight, their loss of independence, an increase in falls, hospitalisations, increased dependency and isolation. I engaged with the Rob Cummins, Director, Research and Policy upon reading the Report and this developed into our partnering with the MDFA to offer advice on the content of a training video and in relation to their providing training resources for staff of residential aged care facilities in particular. The MDFA used our Residential Aged Care Facility and Allambie Heights Village, Retirement Village as the sole location for the Video that they filmed on 28 May 2018. The link for this video is below. A number of our residents and staff are ‘extras’ who joined professional actors in the making of the video and Allambie Heights Village Ltd. is credited at the end of the video. The great news is that this video has gone to every residential aged care facility in Australia to be accessed by every staff member working with older people. Resource materials for families/guardians, for staff and separate resource materials for management & health professionals are being made available to those groups respectively. 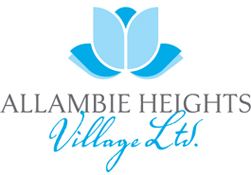 Allambie Heights Village Ltd. can be proud of our contribution in this area of development which should benefit many older people across Australia. I extend my appreciation to Rob Cummins, former Director, Research and Policy; Anthony Lehner, Medical Affairs Manager and to Dee Hopkins, Chief Executive Officer, Macular Disease Foundation Australia for their leadership and vision in this important area and for inviting us to be part of their research, video and resource consultation. I encourage everyone to take a few moments to read the resource material and to look at the Video. Let’s continue to make an added and positive difference to the lives of our older persons wherever they reside with this knowledge, to promote early diagnosis and treatment of eye sight and to improve continuously the quality of our peoples’ lives. The e-resources also provide a valuable tool for families and guardians to better understand eye health and vision loss in RACFs. The information provided in these resources can empower and inform decisions about how eye healthcare is provided to residents in aged care facilities. RACFs can incorporate these resources into their management systems and staff training programs.